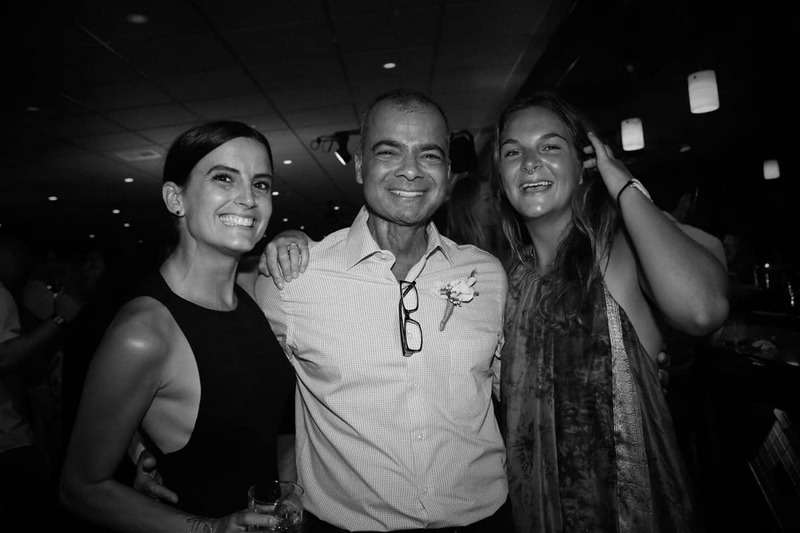 In 2010, our lifelong friend and “brother” David Caldarella entered the fight of his life. The diagnosis was cancer and the battle would be fierce. HOPE never failed, but there was a very good chance all would be lost, and that David would become another familiar and grim cancer statistic. Several months into his horrific fight that summer, David envisioned a new mission for his life. The vision was to create a non-profit organization, dedicated to paying forward the kindness, support and HOPE that had been offered to him during his battle. 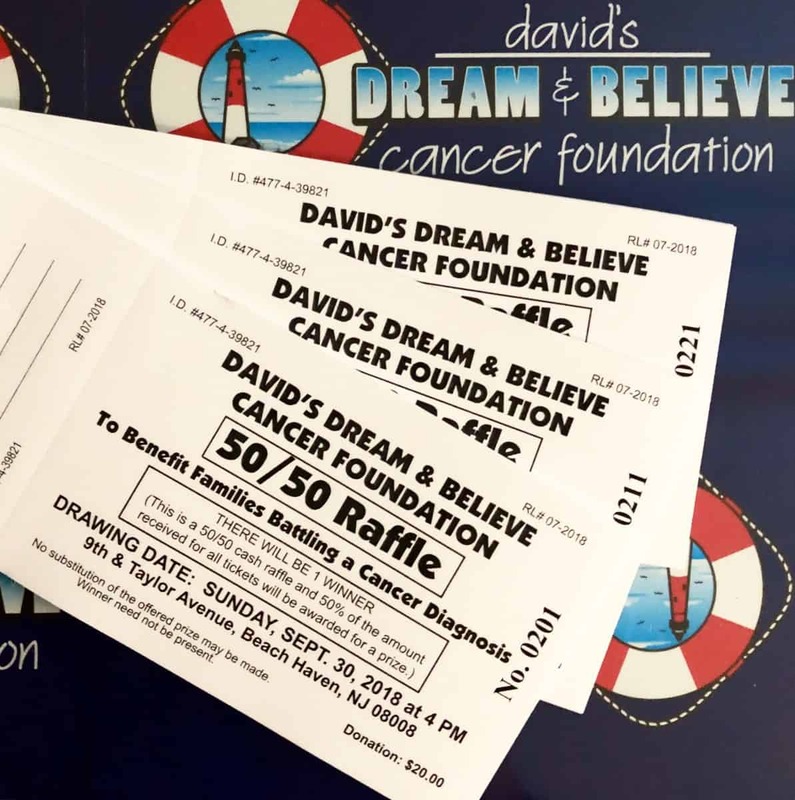 David shared his vision with us, asking if we would be interested in participating, and a few months later (still a long way from receiving an “all clear” report from his surgeon), David placed his signature on the formal 501c3 charter for David’s Dream & Believe Cancer Foundation (DDBCF)! Officially kicking off in 2011, DDBCF would emerge as what seemed, even to us co-founders, a rather typical non-profit organization…a small group of decent people who volunteer time to help a cause. Almost immediately however, it became clear that the self-described “little engine that could” possessed a unique factor. We refer to this as the “David Factor.” The David Factor is something intangible but very real. 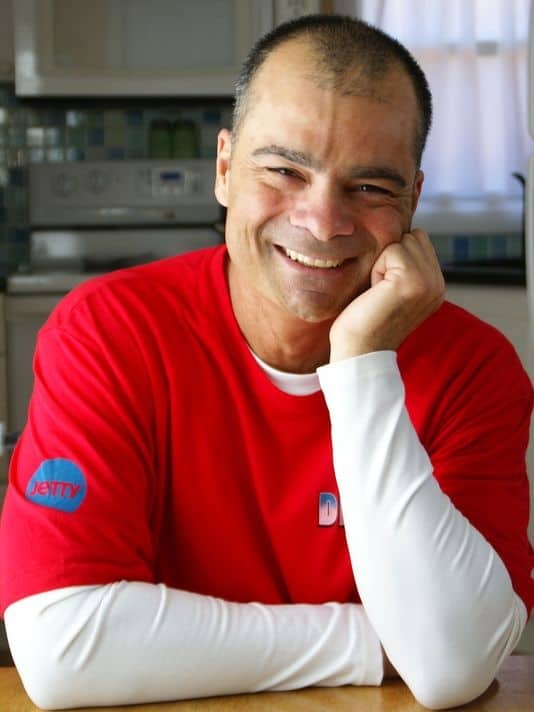 The David Factor represents the explosively magnetic attraction that people have always had for our kind, humble, funny, passionate, strong and amazingly selfless friend David Caldarella. If you have not met David, find a way to meet him – the world is a much better place because of him. Finally, the David Factor is the reason why we are astonished and humbled to report that DDBCF has been able to help over a thousand patients with more than one million dollars in generously donated financial aid and HOPE. A million dollars is easy to spend, and HOPE is a lifesaving treasure. On behalf of DDBCF, we wish to sincerely thank the army of people involved with making DDBCF the incredibly successful non-profit organization that it is today. To our past and present board members, partners, event volunteers, supporters, generous donors and our patients – we are blessed to know you and remain driven to serve you and your families into the New Year. In just 30 days, 88 fundraisers & 454 donors raised over $28K for New Jersey males battling a cancer diagnosis. These funds will cover doctors visits, treatments, living expenses, utilities, grocery bills and the litany of other financial costs that are associated with a diagnosis for at least two dozen families. More importantly, these funds will alleviate the stress & the fear that at times can feel insurmountable. These funds are a glimmer of hope. 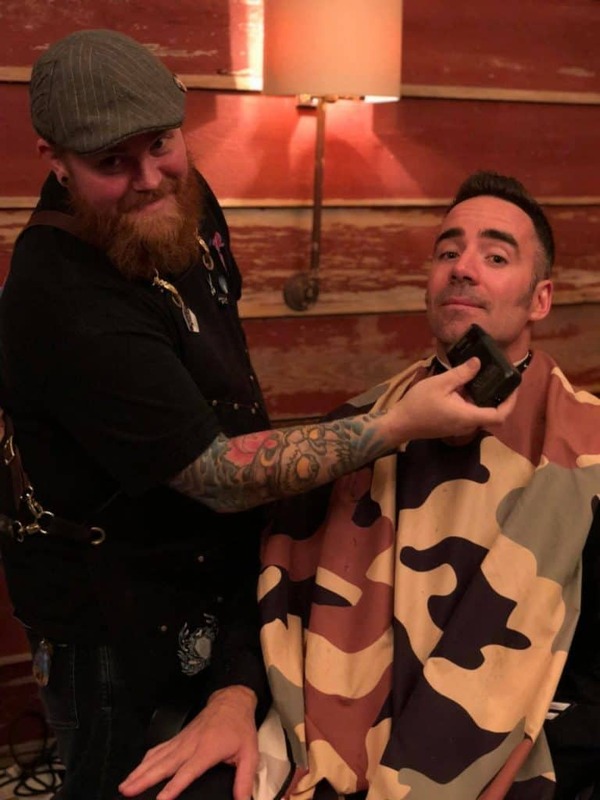 Thank you to Swing Graphics, Ryan’s Barber Shop & Shave Parlor, The Arlington, our Teams/Ambassadors and every donor who helped Shave The Date shine bright as A Beacon Of Hope for patients in need. We can not do this with out you. Please meet our Ambassadors on MobileCause and view our photo gallery on Facebook! On behalf of David’s Dream & Believe Cancer Foundation (DDBCF), I am humbled to announce a bittersweet milestone. Yesterday, a 17-year-old boy battling a cancer diagnosis became the 1,222nd patient/family to receive financial assistance, which brings our all time Direct Financial Giving to $1,000,564.25! This bittersweet milestone could not have happened without Co-Founders Tim Hall and Carmen Malatino and our past and present 100% volunteer Board of Directors. Our new Executive Director Danielle Corso has been a valued addition to the team and tremendous support system internally. Our Mission of Hope giving partners including Equity Prime Mortgage NJ and event sponsors afford us the opportunity to offer financial assistance in the amount of One Million Dollars to 1,222 patients. Our Patient Advocates, Advisory Board Members, Service Arm Partners and Generation Dream Student Groups all serve to support our families battling this deadly disease that affects 1 in 2 men and 1 in 3 women. There are 3 individuals who did not know it at the time but they’re the reason DDBCF even exists today and they would be my nephew Timothy and nieces Isabella and Sabrina English. 8 years ago during my stage IV head and neck cancer diagnosis I read that “Kindness is the shadow of God in Man” and I commented that those shadows were never more present than during my battle with cancer. I would change that now to express those shadows are never more present than every single day that we interact with the courageous individuals who are battling a cancer diagnosis and manage to inspire all of us at DDBCF. Patients and their families remain the sole focus of everything we do at DDBCF. I am so grateful for your trust and generous support of our mission here at DDBCF. In spite of this milestone, we are seeing a continued avalanche of patient requests and your ongoing giving is crucial! It’s time for our 4th Annual Pancake Breakfast with Santa presented by students from our DDBCF group at Southern Regional High School! 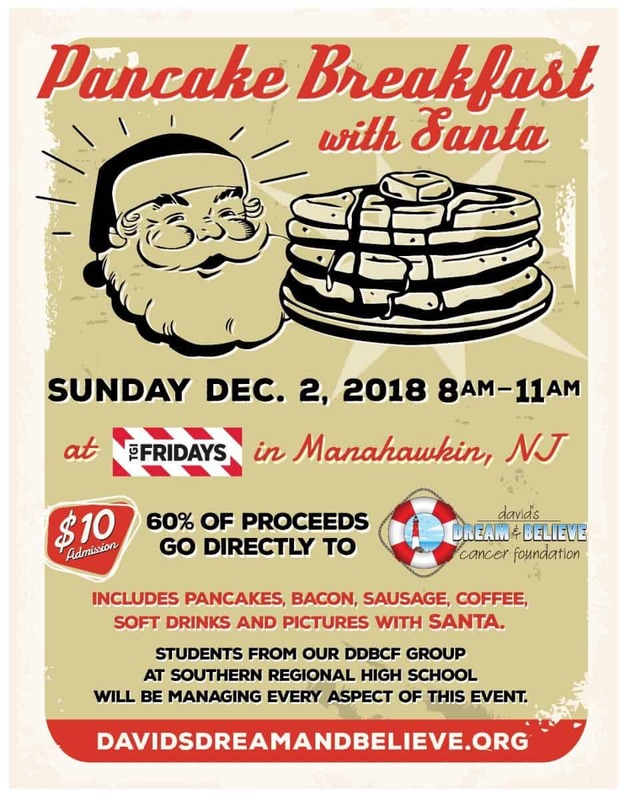 Please join us on Sunday December 2nd between 8-11a at TGI Fridays Manahawkin for pancakes, bacon, sausage, coffee, soft drinks and pictures with Santa – all for just $10 a person! We will have DDBCF gear available at discounted prices for the perfect holiday gifts for family, friends and co-workers. Get Your Mo On With Shave The Date! REGISTER AS A FUNDRAISER HERE! 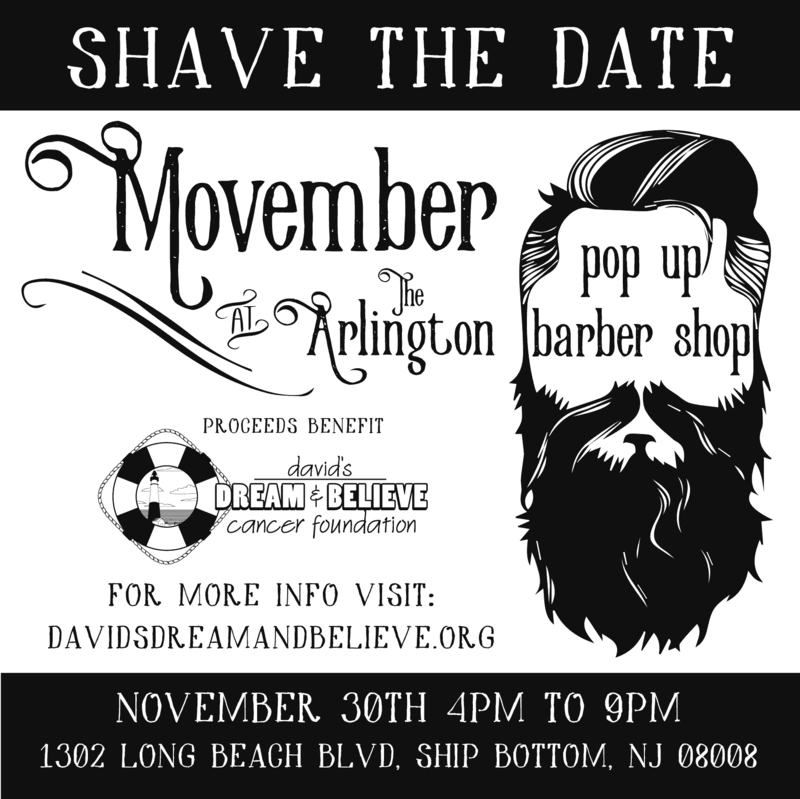 Join the Movember Movement with David’s Dream & Believe Cancer Foundation (DDBCF)! We’ve partnered with Swing Graphics to raise awareness & provide HOPE for male patients battling a cancer diagnosis. 100% of the proceeds from this fundraiser will be directed to male patients battling a cancer diagnosis through David’s Dream & Believe Cancer Foundation! DONATE TO AN AMBASSADOR HERE! We have added a new Team Concept this year with the help of DDBCF Advisory Board member Chief Robert Burnaford from the Harvey Cedars Police Department. The following Teams have already agreed to join Harvey Cedars Police Department to participate in our 2018 Shave the Date fundraiser: Beach Haven Police Department, Ship Bottom Police Department, Surf City Police Department, Stockton University, Jetty, Farias Surf and Sport, Barlow Buick GMC of Manahawkin, Equity Prime Mortgage NJ, Trident Fitness & Performance and members from the DDBCF Board of Directors. Please contact DDBCF Executive Director, Danielle Corso to create your team today dani@davidsdreamandbelieve.org. 1. Become A Shave The Date Ambassador! Sign up as an individual or join a team! Dedicate your hair follicles to the cause – grow a mustache, promise to shave your coveted beard, cut the luscious locks or come up with your own growing gamble. Contribute to the cause with a donation to individuals or teams. 3. Share The Donation Page! Become an advocate for a team or ambassador! 4. Attend Shave The Date at The Arlington! 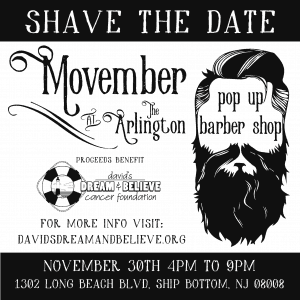 Experience the Pop Up Barbershop at The Arlington on November 30 for a shave/haircut for a cause, or just to enjoy the party! Ryan’s Barber Shop & Shave Parlor and Carmelo’s Barber shop. 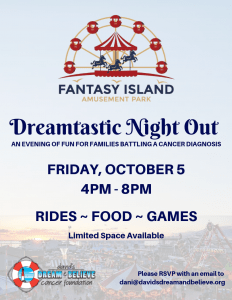 Thank you to Fantasy Island for inviting David’s Dream & Believe Cancer Foundation to the park for Dreamtastic Night Out on Friday, October 5, 2018 from 4-8p! This event gives families battling a cancer diagnosis the opportunity to enjoy a Long Beach Island summer tradition at no cost. 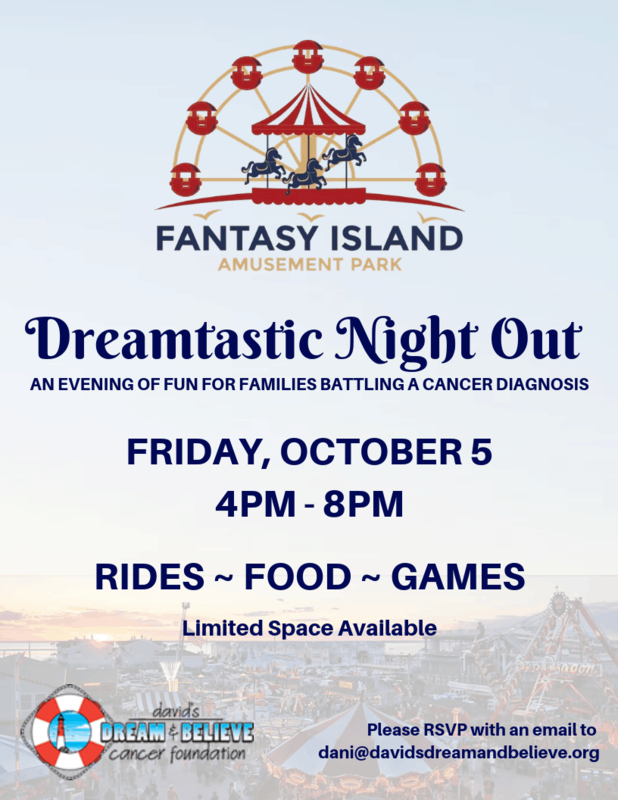 We are grateful for the generosity of Fantasy Island who has donated rides, games & food to help make this an evening to remember! 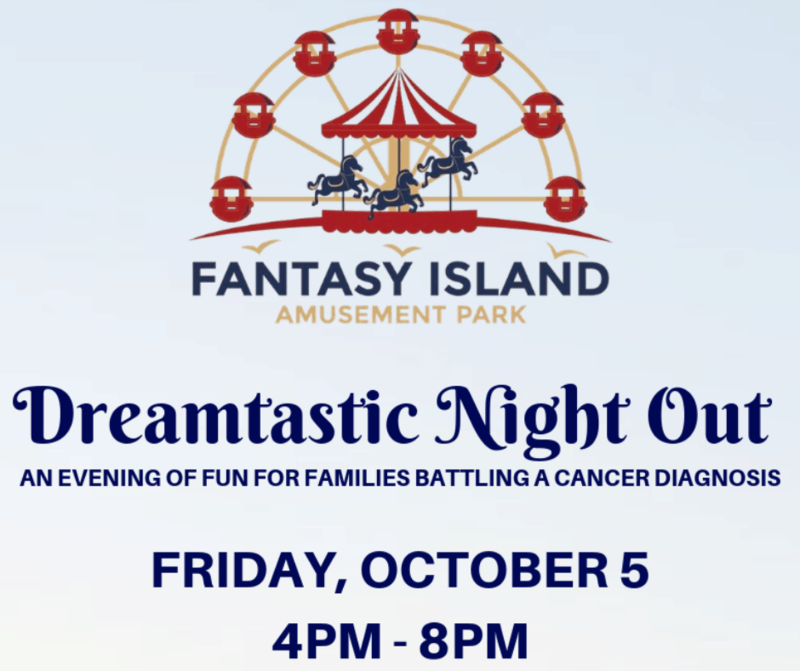 Dreamtastic Night Out is open to all families affected by a cancer diagnosis but space is limited. Please register by Wednesday, October 3 with an email to dani@davidsdreamandbelieve.org. RSVP should include your name, phone and number of adults / children. Enter to WIN up to $25,000! 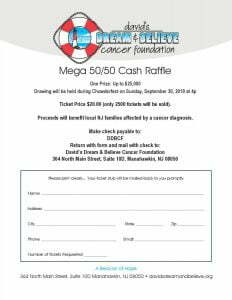 Our Mega 50/50 Cash Raffle is in conjunction with David’s Dream & Believe Cancer Foundation’s selection as the Charity for a Cause partner for the 30th Anniversary Chowderfest celebration. Tickets are $20 and ONLY 2,500 tickets will be sold. There will be one winner chosen during Chowderfest weekend on Sunday September 30, 2018 at 4:00pm. (Winner does NOT need to be present & Winner must keep 50% of cash prize). Pick up at our office, 364 North Main Street, Suite 10D, Manahawkin, NJ 08050. 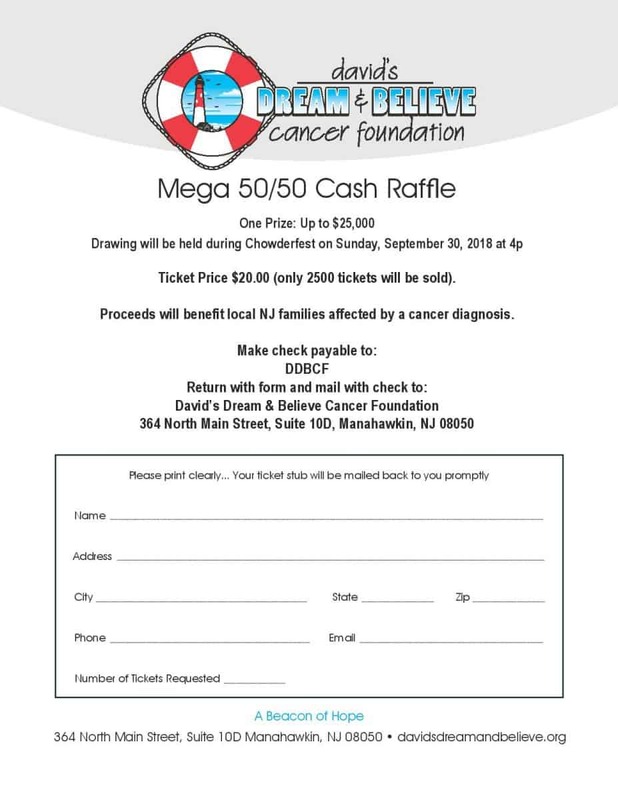 Mail your check (made payable to: DDBCF ) to the office address above by Friday September 21st. Visit Panzone’s Pizza in Surf City, NJ. For questions, email Danielle Corso at dani@davidsdreamandbelieve.org or call 609-489-0011. We are excited to announce the formation of the David’s Dream & Believe Cancer Foundation (DDBCF) Advisory Board. The Advisory Board comprised of 20 volunteers dedicated to achieving our Mission of Hope for patients and their families affected by a cancer diagnosis. In 2017, DDBCF reached an all-time milestone of helping 1,004 families battling a cancer diagnosis with direct financial grants totaling $778,381.91. Beyond the significant financial grants, countless families receive hope, emotional support, and wellness services through our generous corporate and individual donors. These goals could not have been accomplished without the inspiration from our patients and support from our volunteers. Deb Henderson: University Title Insurance Agency, Inc. 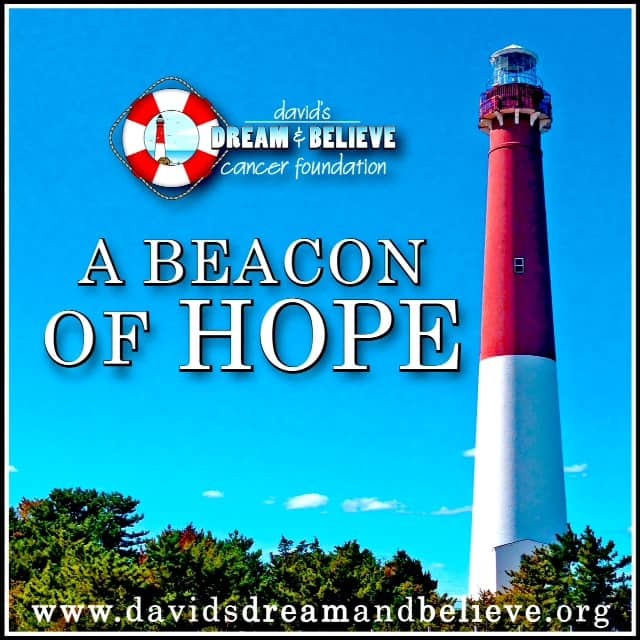 Thank you for your continued support of David’s Dream & Believe Cancer Foundation (DDBCF). It is because of your generosity that we have so far been able to provide direct financial assistance to 1,004 families battling a cancer diagnosis. In addition to financial support, countless other families have received personal emotional support, wellness services and HOPE. As we kick off 2018, we are pleased to re-introduce our Planning Giving Program! 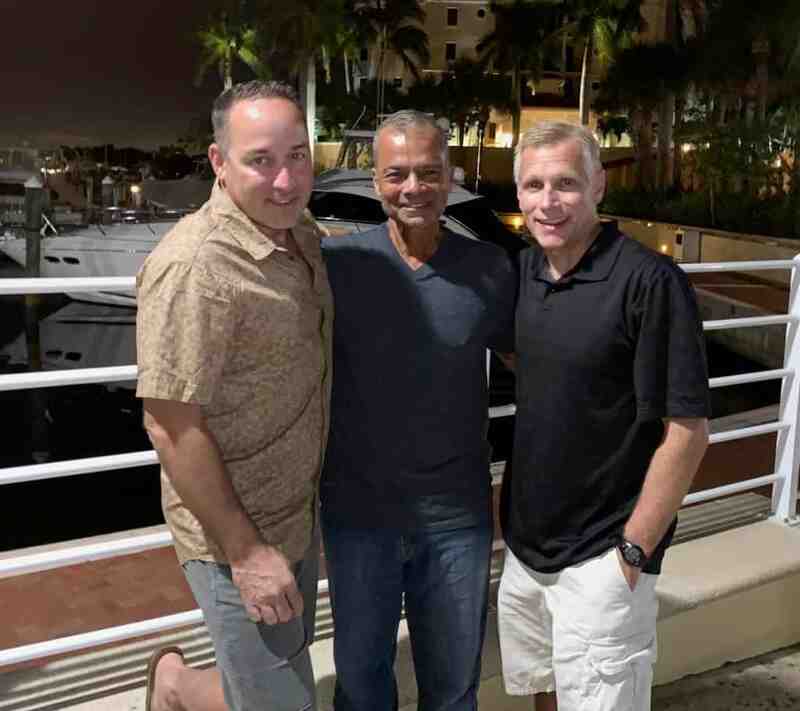 The DDBCF planning giving program enables individual sponsors or corporate friends to Pay It Forward throughout the year with Event Sponsorships. Our 2018 planned giving initiative will afford us the opportunity to better respond to the increasing avalanche of patient grant requests. Our DDBCF Executive Director, Danielle Corso created the first successful planned giving campaign in 2015 with the help of the generous team at Equity Prime Mortgage, and our relationship with them remains the Gold Standard for long-term partnerships. The impact that this single program has had on the lives of patients and their families is difficult to accurately measure – literally thousands who have been impacted by this deadly disease are benefitting from the Equity Prime Mortgage planned giving program. The DDBCF event calendar for 2018 includes highly visible events that provide you or your business with key sponsorship opportunities that are available now. We are particularly excited to announce that DDBCF was selected to be the first Chowder for a Cause Partner Charity for this year’s Chowderfest! Over 15,000 people attended last year, so the opportunity to raise awareness for our Mission of Hope in 2018 will be tremendous! This year, we are offering you or your business the opportunity to be included as a named sponsor at every event (maximum branding and recognition) through a planned giving commitment that can be structured in monthly, quarterly or as a one-time annual contribution. In addition, DDBCF prominently recognizes our Community Partner Level sponsors on the DDBCF website and on all of our marketing brochures, signs and event materials. The Community Partner Level is reserved for individuals and businesses who pledge $10,000 in donations per year. Please simply call or email DDBCF Co-Founder and Chief Executive Officer, David Caldarella (ideally before February 15, 2018) to ensure that we recognize you in all of our DDBCF marketing pieces this year. Thank you once again for all of your support!